I just got back from Vacation and I can't wait to tell you all about it. I have many new freckles, I'm so relaxed and my kids are so happy. Coming back this time was easy, I felt sad leaving, and I can't wait to go again. Just wait till you see photos, you will understand! Get yourselves ready for an awesome giveaway. 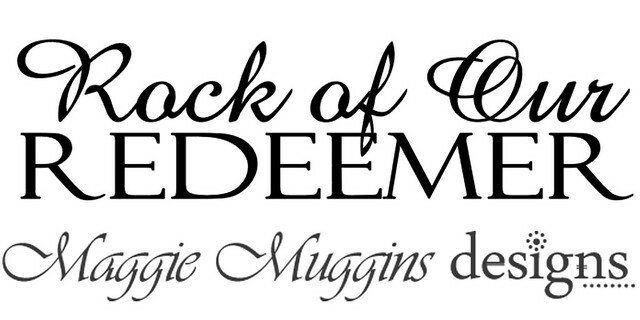 Coming VERY SOON!!!! Today, however, I'm going to show you something I love! TEXTURE MAGIC . What is it you ask? 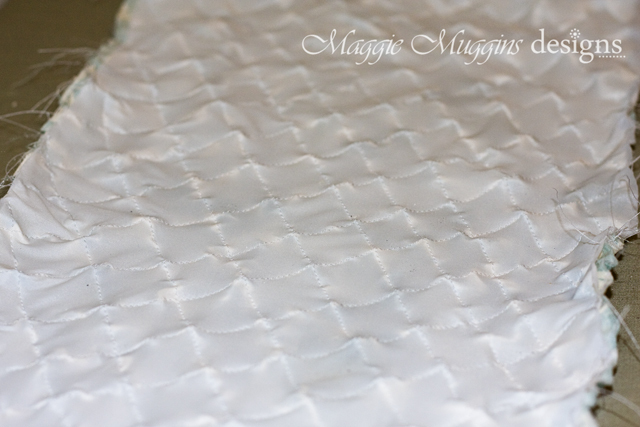 Simply put, it's a shrinking fabric you use to sew on to another fabric and create an awesome bubble effect. Superior Threads makes this really cool fabric, and the first time I saw it I knew I had to try it. So home I came with a package of Texture Magic . I decided to start with a simple project, so I grabbed some fabric left-over from a project and set to making a Hot Snapz cover. 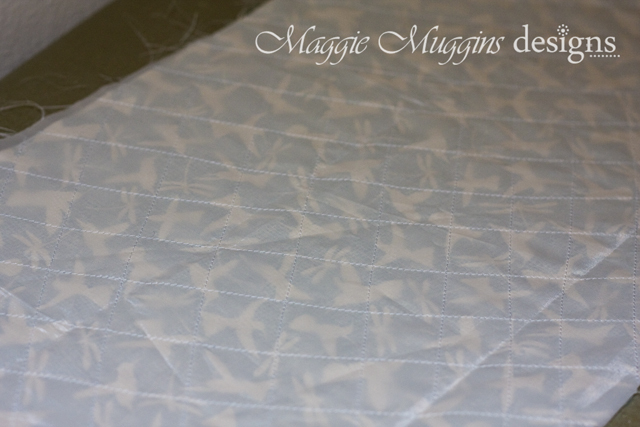 I started by laying the Texture Magic fabric on the back of my fabric. I cut it to the size of the fabric. 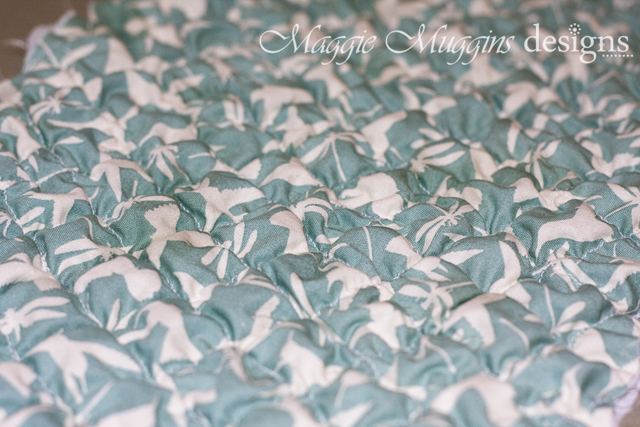 Then I decided on the pattern I would sew. I chose a diamond criss-cross pattern. 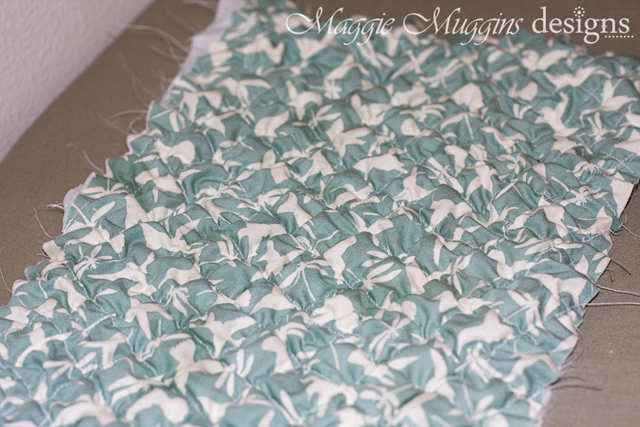 After I was finished sewing the entire piece I took it to the ironing board. Texture Magic side up, I turned the iron to full-steam. Then I got it just above the fabric and allowed the heat and steam to shrink the fabric. You don't actually want to touch the fabric. Also, you need to be careful because as it shrinks it lifts up, so you need to watch that it doesn't pull up to touch the iron. Slowly go over the entire piece of fabric until it stops shrinking. Allow it to cool and then flip it over. It's so easy and looks so cute. 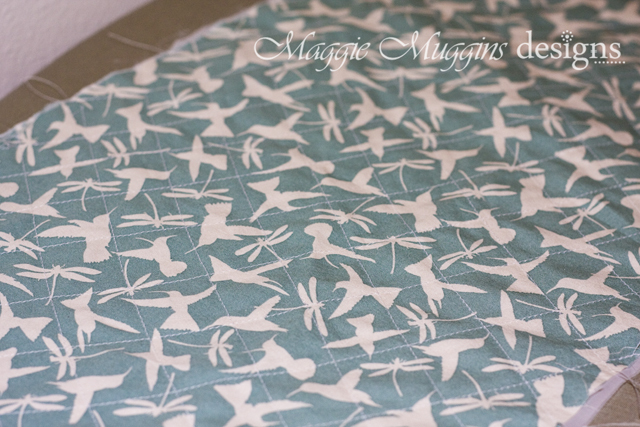 My favorite part is that perfection in the sewing step is not required for it to look adorable. 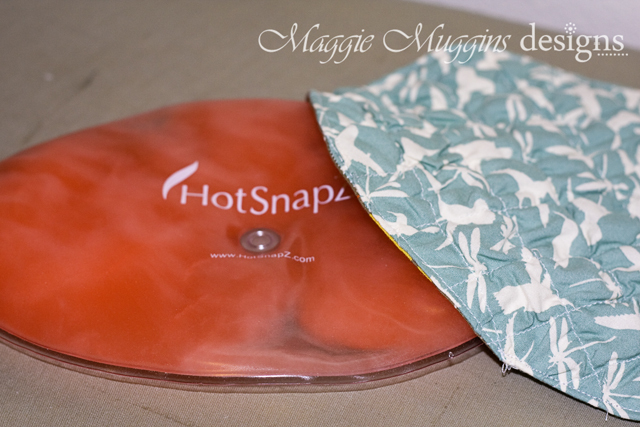 After I got the fabric made I cut out a piece for the top of the Hot Snapz cover. Simple sewing was required for this and a self-adhesive Velcro closure was used. The perfect gift for someone who always needs a hot pack. I'm determined to try Texture Magic in all sorts of things. A quilt, a bag, there are so many ways to use it! *This was not a sponsored post and is completely my own opinion.